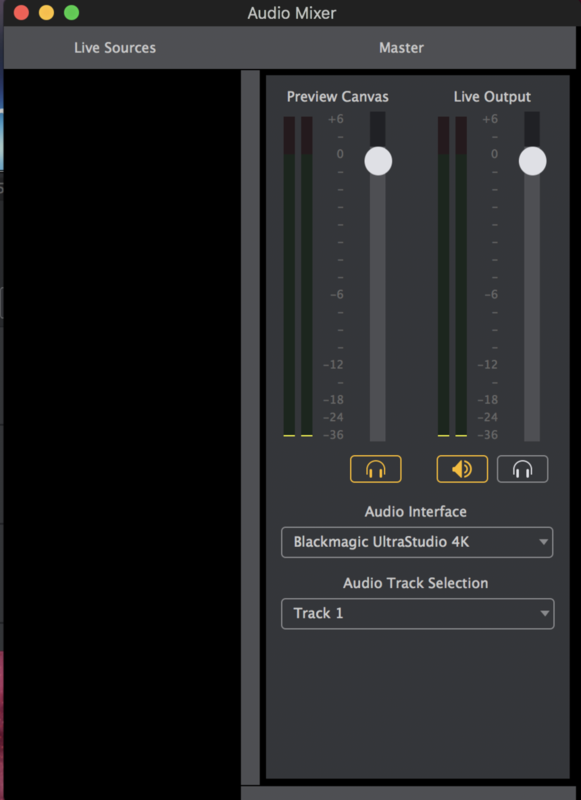 Clip audio will mute after loading a camera into a layer. 5. 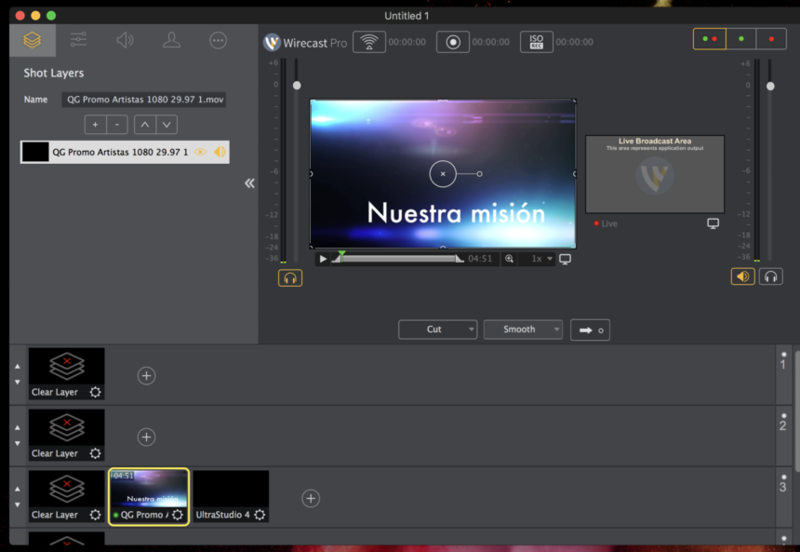 Load the ATEM switched Camera into that same Layer ( No matter which Layer I use ) And the Loaded Clip audio is gone!!! 6. 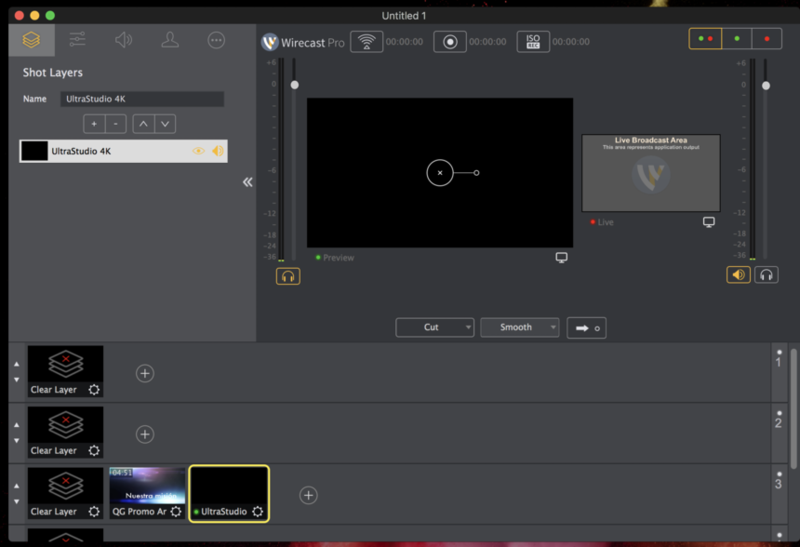 Need to re-start the Wirecast and a New Document needs to be created. 7. Using the same document twice will not work. This is my 3rd day since I purchased wirecast and believe this is the main thing keeping me from moving to the next set of test! fist event is in 2 weeks and really nervous about this! I assume you mean MacBook Pro as shown in your video. Audio looks like it's still there. Meters are moving. It's just not being heard by the monitors. Adding the capture card impacts your monitoring it seems. I'd need to know how you have monitoring setups. 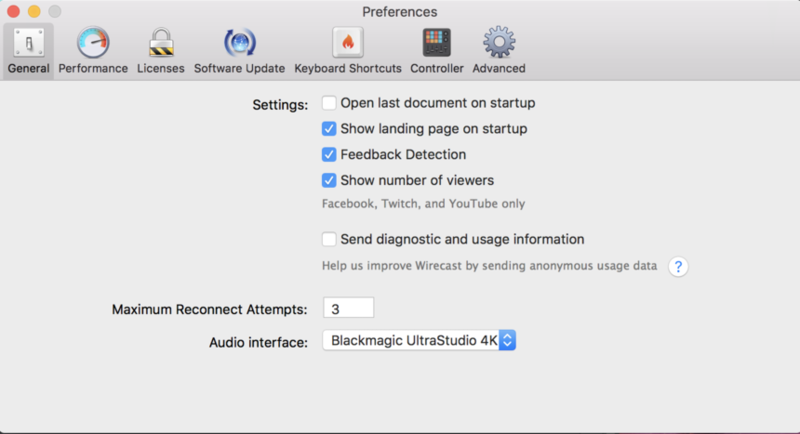 This includes the macOS System Sound Output, Wirecast > Preferences > General > Audio Interface and whether you're using Wirecast > Output > Multi-Viewer Output or if on Wirecast Pro, it's Video Output (which can be sent through Blackmagic cards). 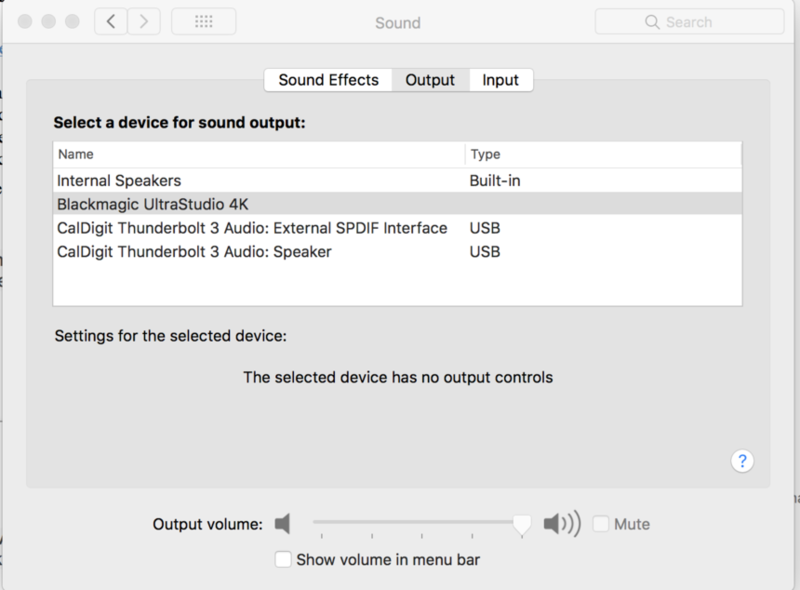 Eduardo Solana Setting output to the video card through system preferences may not work for monitoring. 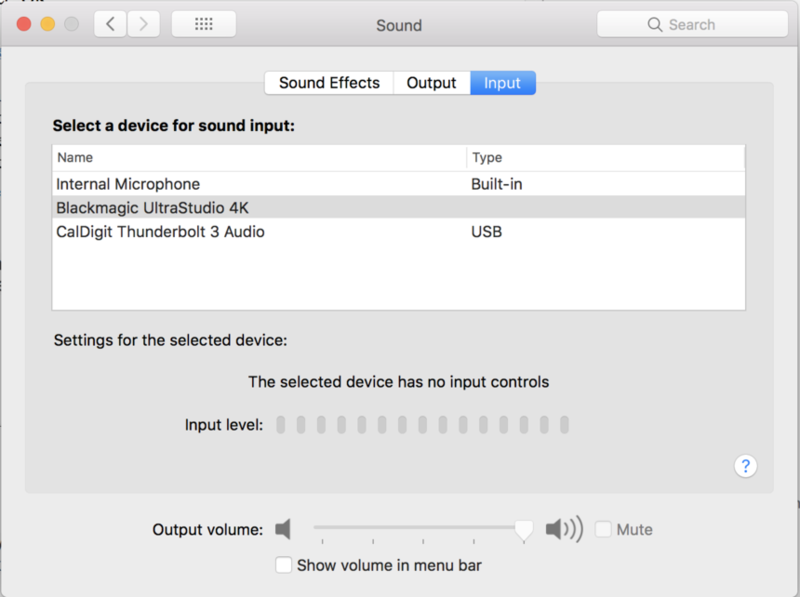 As a test set output and Wirecast Audio Device (in Wirecast Preferences) to Internal Speakers.